Was presented at Topic Maps 2008. 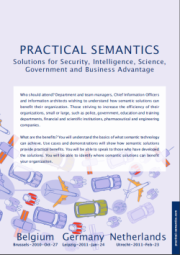 This document is a working draft to collect potential use cases and usage scenarios for a Compact Syntax for Topic Maps (CTM). This presentation collects the meeting notes on Topic Maps Compact Syntax (CTM) made during a meeting in Atlanta in November 2005. This presentation gives a short introduction to Topic Maps and shows it application for modeling Korean Folk Music (Pansori).